New construction 3 bedroom plus den ranch home with walk-out in the desirable Villas of Franklin. 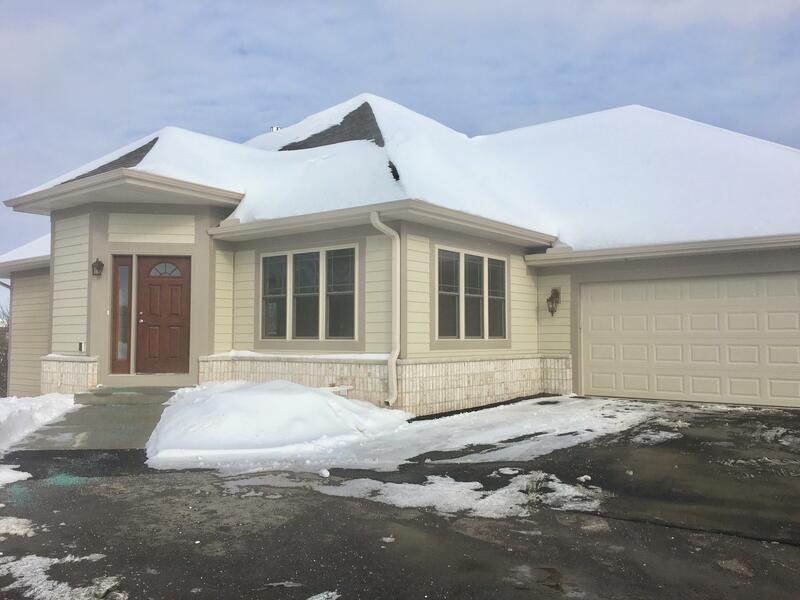 This is the last new construction unit with a walk-out! Don't miss it! Granite kitchen counters and island in the kitchen, great room with gas fireplace, hardwood floors, high ceilings, luxury vinyl in all bathrooms, finished lower level with 3rd bedroom and 3rd full bath. Balcony off the main floor and patio off sliding door in the basement. Includes landscaped yard, paved driveway and 2-car garage! Just a few finishing touches and it is ready to call home!